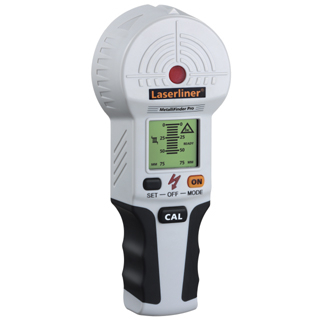 High performance metal detection device with depth display and voltage warning. Enables targeted location of metal objects as heating and water pipes. Easy handling by extra large LC-Display. Through depth measuring it can be decided if the drilling depth is sufficient in front of metal cores etc. Means no more accidentally drilling into water or gas pipes made of metal. Ensures safe and realiable working: prevention of destruction of precious drillers, drill bits and cutting blades. Cost-saving: avoidance of drilling in the wrong place with the subsequence repair work this involves.